Many consumers consider low down payment mortgages to be a good thing. Since this process allows many people to purchase a home without having saved a large down payment. While this is true, there are some down sides to buying homes with nothing or very little down. We will discuss these issues in this post. 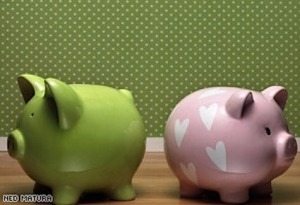 Many consumers will and should buy homes with little money down. It is often better to go into a situation with your eyes wide open. This is to ensure that you know what you are getting into. Larger Monthly payments – basically the less money you put down on your new home the more you have to borrow and pay interest on. 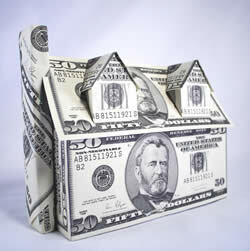 If a home costs $100,000 and you only have $5000 as a down payment, the remainder $95,000 must be financed. A monthly payment is calculated based on the term and interest rate. If you can place $10000, instead of $5000, down you are going to have lower monthly payments. This can make life a lot easier every month to pay all of the other bills. Higher overall interest costs – a larger mortgage means more interest to be paid over the life of the mortgage, which can be thousands of dollars in extra costs which most of us cannot or do not want to pay. Possibly higher interest rate – Lenders view low down payments as an indication of higher risk and charge a higher interest rate. Now not only are you paying more interest because your mortgage is larger, you are paying more interest because you have a higher interest rate as well. Thousands of dollars more in fact. Exposed if interest rates rise – with higher payments comes an additional risk and that is if interest rates rise. This is what happened in 2008 and many people could not meet their payments since a higher interest rate always means higher payments unless you have more money to put towards the mortgage. Before you sign the dotted line to buy a home with little money down, take a few minutes to evaluate the risks associated with your situation, life style and financial situation. 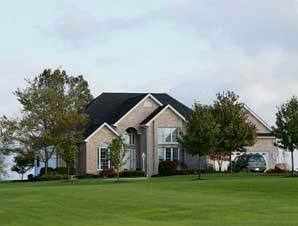 Our latest questions is from a reader in Toledo Ohio who is planning to purchase a new home in Toledo and are wondering if they can afford to make this purchase. They need a new home loan in Toledo Ohio. Or mortgage to allow them to proceed with their plans. They both have good jobs. Also they make approximately $3000 every two weeks together which is around $72,000 a year. They are hoping to purchase a home that is currently listed for $140,000 and have $15,000 to place as a down payment. The couple feel they will need a mortgage of $125,000. 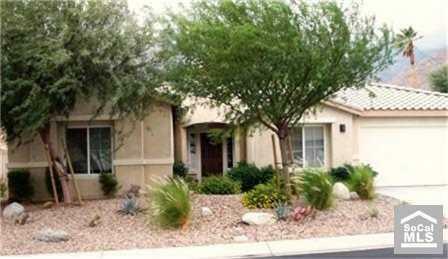 Although this may be reduced if they are able to purchase the home at a reduced price after negotiations. This is an excellent question and more people should do this kind of planning prior to making the leap into home ownership. There might be less foreclosures and bankruptcies as a result if people took the time to determine if they can afford to make the payments prior to purchasing a home. The interest rate and the 25 year term are negotiable with the banks. They could be lower or higher and affect the monthly payment accordingly. However this calculation provides this couple with a budgetary number for them to use in their planning. As part of their financial planning, they should also include taxes. Although they did not include an estimate of the taxes with their questions we will assume $200 a month for taxes. Based on this assumption their monthly payments for principal, interest and taxes is $920. Which is only 15% of their monthly income. Most banks will approve mortgages that go up to 25% and some will approve high ratio mortgages that go higher. This couple is well inside the limits that the banks use. There is also a cushion on the monthly payments should they decide to have a family and their income drops as a result or one of them gets laid off which is possible in this economy. Most homes will require maintenance of some sort every year. There are upgrades that also will be completed as money is available. Our recommendation for this couple is to set aside some money for this purpose. Ensure it is available to them when they either need to replace such things as the roof, repave the driveway or other major maintenance items. They should also have a 6 month savings plan available to handle emergencies. Sickness that prevents one of them from working or if they should receive a lay off notice. With the purchase of this home, at least from a financial perspective, this couple will be in a good position to deal with the financial issues that they may be faced with. If you have questions about debt , loans or mortgages, please send us your questions and we will try to answer them for you during the following week. You can write your question in the comment field at the bottom of this post. For more information about mortgages, click here. New Home Loan in Toledo Ohio. We received a question about new home loans from a reader and will answer his questions in our next post about new home loans. The simple question they have is how much can they afford to pay for a home given their down payment and their current income. This is a common question that almost every home owner has when they go to purchase a home. It is one of the main factors that helps them decide which home to make an offer on. If the price range of the home is out of their ability to afford, then there is no sense in making an offer on it. We are planning to buy a new home and are wondering if we can afford to purchase a home. My wife and I have about $15,000 saved up and want to buy a home that is currently listed for $140,000. We are hoping to get it for less than that, but our real estate agent told us to go for the full amount in case this one slipped away on us and we had to look at another home. Do yo think we can afford this. We both work and are not planning to start a family for a few years. We are also concerned that we may not have saved enough for a down payment on a house of this cost. Do you currently have a mortgage? :: No, we do have a car loan and several credit cards which are fully paid up. We rent an apartment at the present time and would like to buy our own place. Are you employed and for how long:: Yes, both my wife and I are. I work in a factory and she works for a local store here in Toledo. We have both been in our jobs for the past 2 years. We had a question from a reader about whether they should opt for a 30 year mortgage or take something shorter such as a 15 year or 20 year mortgage. He stated that he could afford the monthly payments of all of the mortgage terms so that this would not be an issue for them. Their credit rating is good and they are looking for a relatively small mortgage by today’s standards. It really boils down to whether a 30 year mortgage is the right vehicle for them when it comes to finding a mortgage for the home they want to buy. There are many issues to take into account when you decide on the term of the mortgage that you will agree to. While you do not want to be house bound by large mortgage payments, the general rule would be to take the shortest term you can afford and repay the mortgage as quickly as you can. This minimizes the total interest you pay and the overall cost of the mortgage. There are other factors as well to take into account, so we will discuss a few of them in the following paragraphs. In Canada, the maximum mortgage that can be negotiated in terms of length is now 25 years. gone are the long mortgages that minimized monthly payments. In the US as far as we know, long term mortgages of 30 and 35 years are still available. Clients should recognize that they will pay much more in interest with these really long mortgages. 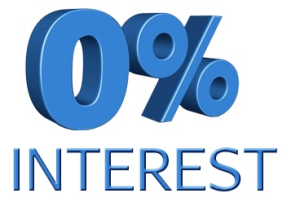 Interest Rate – The interest rate will vary for the different types of mortgages and you will renew your interest rate every 5 years. With a long term mortgage, consumers pay very little of the principal in the first 10 years so you really do not build up equity. Equity increases come from the home as it appreciates if it does over the time you have the home. In some cases, such as in the past few years the value of homes has declined. Something to think about. Prepayment Options – Although you do not repay much of the mortgage in the first 10 years with a 30 year mortgage, there is one way around this that will decrease the amount of interest you pay in total and build up equity more quickly. Make sure you have the option to repay a portion of the mortgage every year, usually 10%. This is a great way to increase your equity and decrease your interest cost as well. Insurance Costs if any – Some companies want special insurance costs added. Check this out to make sure that this cost is well understood. Ability to Pay – Shorter term mortgages mean larger payments since you are paying the mortgage off more quickly. Ask your bank to give you a quote for the various terms including the 30 year term mortgage so that you can assess your ability to meet the monthly payments without placing undue stress on your budget and quality of life. Years to retirement – The reader who posed the original question has just graduated. He has many years to go before they will be retiring, so this is not an issue for them. However if you are 50 and you’re applying for a 30 year mortgage, some banks may not be willing to provide you with approval of a 30 year mortgage. As you can see there are lots of factors to consider in deciding how long a mortgage you are going to apply for. It is an individual decision based on your situation. Hopefully this information helps our readers. If you have questions, please feel free to leave us comments with your questions. For more information about mortgages, click here. We received a question about 30 year mortgages from a reader and will answer his questions in our next post. They are trying to figure out the best approach in terms of a long term mortgage vs. a short term mortgage, what the issues are and which makes the most sense for this reader in their situation. There are many consumers in this situation about to purchase a home. Should they go with a long term mortgage to minimize the payments? Or should they take a shorter mortgage term with higher payments and less overall interest charges. This is an important question which has long term impacts on their financial life. We are about to purchase a home and arrange for a mortgage on this home. We have an option to go for either a short term mortgage of 15 years, a medium term of 20 or a long term mortgage of 30 years. 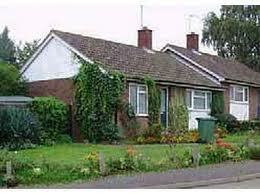 The 30 year mortgage has the lowest monthly payments, however we pay the most interest with a 30 year mortgage. We are wondering what we should do. We can afford to pay the increased payments of a 15 year mortgage. As consumers we are also a little afraid of a long term mortgage since we will take a long time to build up any equity on our home from our monthly payments. We understand that virtually no equity will be built up in the first 10 years of the mortgage so we are tending to lean towards a shorter mortgage. Other Loans, Including Credit Cards:: Nothing significant, we pay our credit cards fully every month. Our car is fully paid for. Are you employed and for how long:: I graduated from a university and have been working for 1 year so far. We received a question about adjustable rate mortgages from a reader and will answer his questions in our next post. He currently has a fixed rate mortgage and will be renewing the mortgage in the near future when it matures. He wants to know if he should change to an adjustable rate mortgage instead of just renewing with a fixed rate mortgage. What are the costs and savings opportunities associated with each? These are pretty typical questions that many homeowners are interested in. It is a complicated process for many people and they can use all the help they can get. I have a question about adjustable rate mortgages. 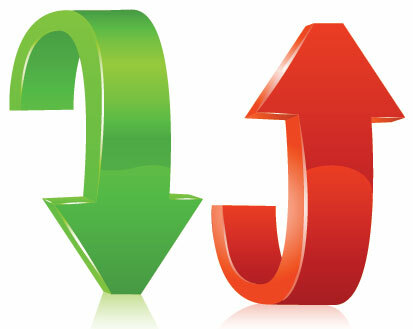 We are going to be renewing our current mortgage which was a fixed rate mortgage for the past 5 years and we are wondering if we should switch to an adjustable rate mortgage. The interest rate is lower than the fixed rate mortgage, so we would save a lot of money by moving to this type of mortgage. Our current mortgage holder offers both types of mortgages and we can select either type of mortgage at this time with no penalty what so ever. If the interest rate stays the same for the next five years, selecting an adjustable rate mortgage will save us a great deal of money. 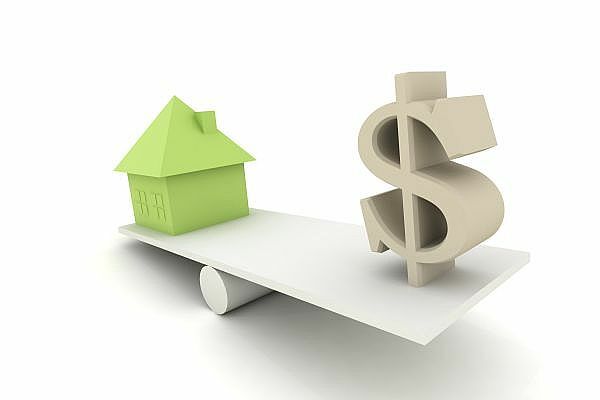 If the rates do up as everyone seems to be predicting, our adjustable rate mortgage will also go up and it could go higher than the fixed mortgage rate that is currently being offered. We are really not sure what to do about this decision and have been spending nights thinking about this issue wondering what to do. One of our readers left a question about adjustable rate mortgages and whether we thought they should consider changing from a fixed rate mortgage to an adjustable rate mortgage. They have 15 years left on their mortgage. The couple is considering switching to an adjustable rate mortgage with a lower interest rate! They have an excellent credit rating. As a result they should have no problem renewing their fixed rate mortgage or an adjustable rate mortgage. They wanted to know about the changing interest rates and whether we thought interest rates would change. They seemed a bit concerned about interest rates going up significantly. As of this update in 2013, interest rates are rising and there is no forecast of how far they will go. Basically an adjustable rate mortgage is just what it sounds like. The interest rate will be adjusted at defined intervals that are based on an index that each bank follows plus some percentage to reflect the banks required profit. This index can change regularly and if you have an adjustable rate mortgage, your mortgage payments will be adjusted to reflect this change. Adjustable rate mortgages are usually at a lower interest rate than a fixed interest mortgage at time of renewal, however while your fixed interest mortgage will stay the same for the term you have contracted for, your adjustable rate mortgage will change as often as every month or every 6 months depending on your agreement. First Time buyers of homes need to have their act together or they will end up spending more money than they should. Our most recent reader left us a message about first time buyer mortgages. They are getting a mortgage for the first time. Since they plan to move from an apartment they currently rent into a home they plan to purchase. They appear to really have their act together in terms of credit rating. Also income, financial management skills and home inspection. They also are planning for long term expenses such as furnace and roof replacement. This couple makes sufficient money to carry the mortgage they are applying for including taxes and utilities. Many couples get themselves into financial difficulty for many reasons, however one is that they forget about having to pay the taxes and the utilities in their planning and end up running short at the end of the month. No one wants to be stuck in their home because their expenses are so high that they cannot afford to go out once and a while. Make sure that you have accounted for taxes when you are budgeting for that new home you are buying. Another area that many couples fail to consider is home maintenance. They have lived in an apartment for several years and have only had to pay for their rent, the cable TV and the telephone. Heat , electricity, and water are extras, but what happens when the furnace quits and they must cough up $4000 to replace the furnace or replace the roof that is suddenly leaking. These can be major issues for many couples who are living on the edge in terms of monthly payments on their mortgage and have not planned for maintenance. This couple has a home inspection that suggest that these items should not present a problem in the near future. They asked for advice, and this is one area to consider setting up a maintenance fund that they can draw on for major house repairs as needed. We received the following question and information from a reader and will answer his questions in our next post. If you have questions please leave a comment and we will try to answer them. They are first time home buyers and have completed a number of steps towards purchasing a home, but want to know if there is anything else that they should be doing when they purchase their home. We will try to answer their questions on the next post. My wife and I are potential first time buyers of a home. We have been looking at houses for the past 6 months and finally have found one that we think we can afford and also like. This is a really big step for us to be buying a home and becoming first time buyers with a mortgage. We are currently renting an apartment and are anxious to move out to our own home. Our plan is to have a family soon and also build up equity in a home that we can call our own. We both work and we have an excellent credit rating. What we are concerned about is that we want to make sure that we do not overstep ourselves and take on a mortgage that is too large for us. Are you employed and for how long:: We both have good jobs which we have been at for several years.